DEDHAM (CBS) – A cat was killed in a vicious attack at a Dedham apartment complex. A pit bull ran into a Jane Regan’s apartment and killed her cat Gem. “That was one of the things that made me most sad about what happened to Gem, was that Gem died so scared,” said Regan. After recently getting a new cell phone, Regan misses her lost photos of her sweet cat Gem. Because the one image she can’t erase from her mind is the way her pet was killed. There is a strict no pit bull policy at the Avalon Station 250 complex, but the dog was still allowed to live there as an emotional support animal. Jane had been enjoying some sunshine with her daughter and months-old grandbaby. Suddenly the pit bull without a collar charged across their patio and into their apartment. Dedham Police say they’re still investigating, and wouldn’t comment on what, if anything, happens next. The Regans have always loved cats, but are still too upset right now to bring another home. 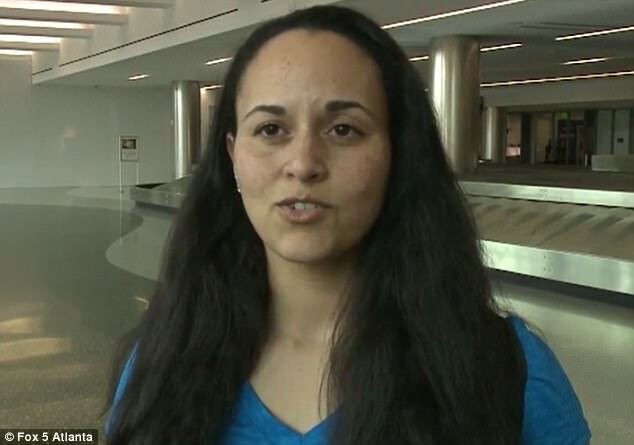 An veteran’s emotional support dog mauled a passenger on a Delta flight Sunday. A police report said the victim, Marlin Termaine Jackson of Daphne, Alabama, was sitting on flight 1430 from Atlanta to San Diego when the incident happened, reported AJC.com. 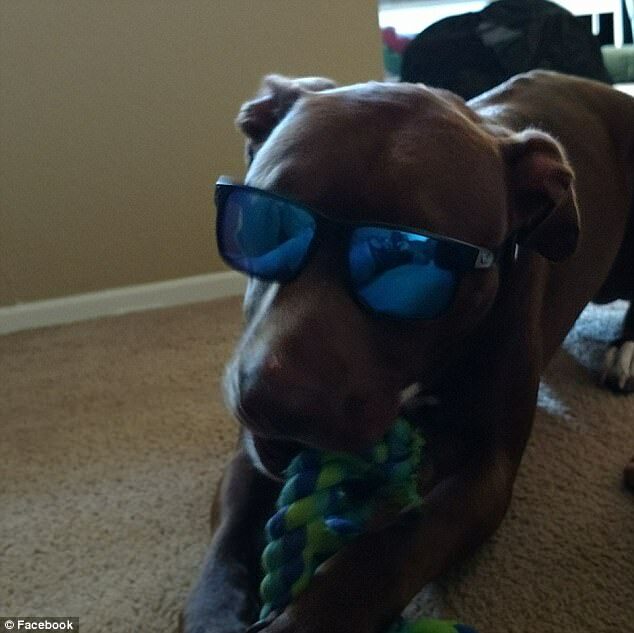 A witness said the victim was sitting by the window and the dog’s owner, Ronald Kevin Mundy Jr. of Mills River, North Carolina, was sitting in the middle seat with his dog, described as a “chocolate lab pointer mix” on his lap. It’s not known what caused the dog to attack, but the witness said Jackson had been mauled. ‘The gentleman’s face was completely bloody. 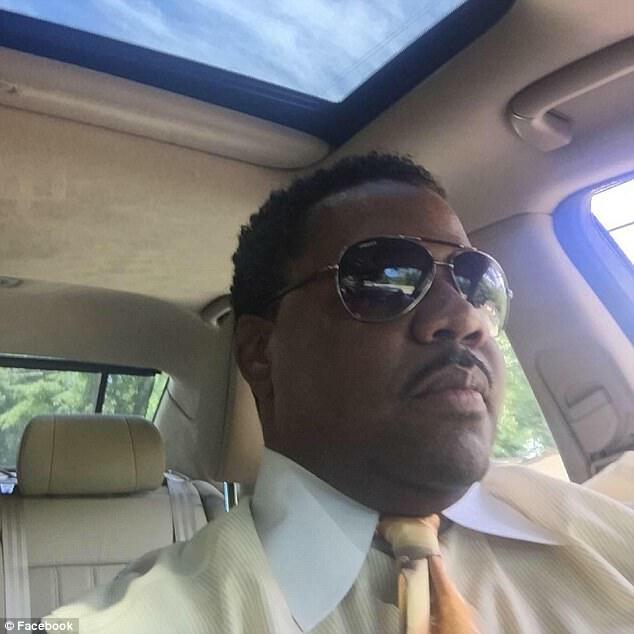 His shirt was covered in blood,’ Bridget Maddox-Peoples told Fox 5. ‘When he walked out, he had a cloth over his face. ‘You could hear a dog growling and a bark and someone screamed “I need help, there’s a medical emergency.” The area was completely covered in blood. They came in and sanitized the area and replaced the seats,’ she said. A police report said the victim was ‘in stable condition, but severe injury to the face due to several dog bites.’ He was rushed off the plane for medical attention. 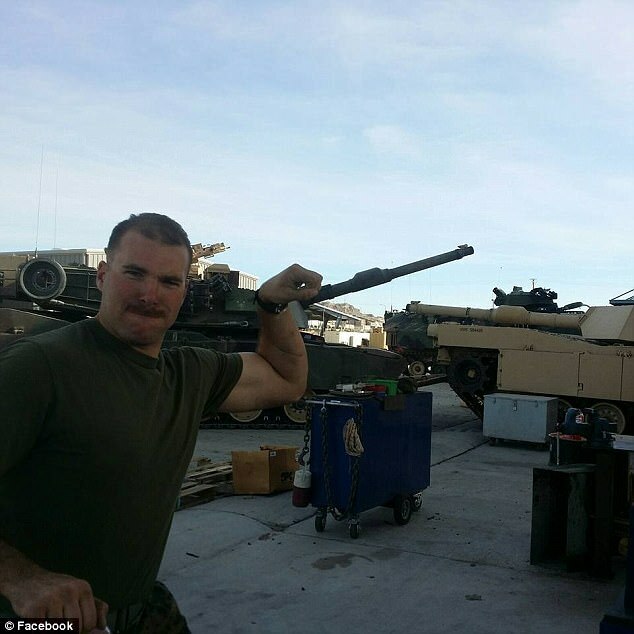 Mundy is reportedly a combat veteran with the US Marine Corps. and had the dog issued to him as a service animal. Delta’s website says that trained service dogs are allowed to be in the cabin with humans and a kennel isn’t required. The dog was secured inside of a carrier and taken off the plane and given to Mundy. Delta said the dog and its owner were given another flight and the dog flew in a kennel. SAN DIEGO – A service dog and her owner are recovering after being viciously attacked by another dog in Bay Ho.“I’ll have that trauma the rest of my life,” said her owner, Jacob.Raw emotion just 24 hours after Jacob’s beloved service dog, Buttercup, was ripped apart by a Pit bull.“I feel terribly guilty about it,” Jacob said.Jacob doesn’t want us to use his last name. 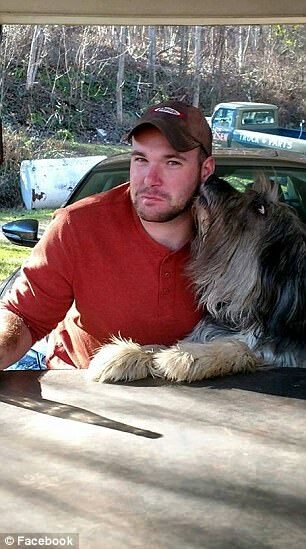 He said he was walking Buttercup around the Santa Fe Trailer and RV Park when they ran into a pit bull they had visited with several times in the last few months.“We were just standing there and out of nowhere just bam, brutally started, viciously started attacking her,” Jacob said. “No warning or nothing.”Buttercup was yelping in pain while the pit bull had its jaws locked in her body. When Jacob tried to pull the dog off of her, the Pit bull clamped on to his hand, leaving him with a large puncture wound. But Jacob is more concerned about Buttercup – he says she’s saved his life. Many times. Jacob isn’t buying the story. Jacob said when he told the park manager about the vicious attack, the manager did absolutely nothing. We tried contacting the front office but it was closed for the evening. Jacob plans to leave the RV park immediately. GET THAT AGGRESSIVE PIT BULL OFF MY FLIGHT!!! 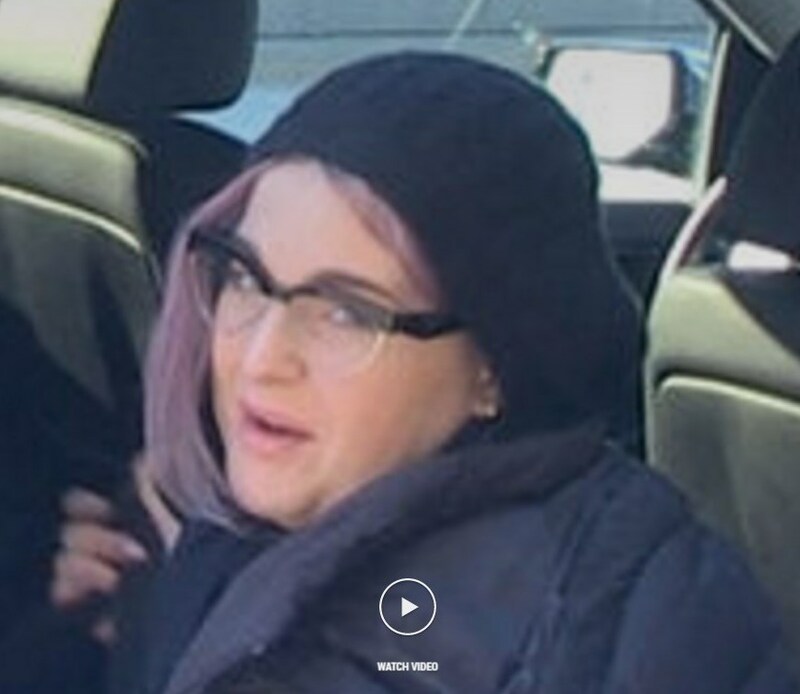 Kelly Osbourne claims a pit bull attacked her Pomeranian at LAX and it was therefore unfit to fly on the same plane with her dog … but her complaint fell on deaf ears. Kelly claimed the pit went after her pooch in an LAX parking lot, and coincidentally the owner of the other dog was on the same flight to NYC as Kelly, and she wanted to bring the dog. We’re told JetBlue did a once-over on the pit bull — a 1-year-old rescue with service dog credentials — and determined it was safe to board. The owner and pit bull were seated about 10 rows behind Kelly and there was no further incident. In the end, the Pomeranian — which was not hurt — won. It flew first class. A small dog is recovering after being bitten and injured in an attack by a Canine Angels service dog last Saturday at a show sponsored by The Brunswick Beacon. The Jack Russell/Chihuahua mixed breed dog was taken for treatment by a local veterinarian shortly after the attack Saturday morning at the Beacon’s Outdoor Living Show at Shallotte Middle School. Kindle Hewett, husband of Beacon advertising executive Anne Hewett, was walking their dog JoJo on a leash outside at the Sept. 12 show when DIVA, A PIT BULL that is one of the Canine Angels service dogs, attacked the smaller dog, causing several severe bite wounds that required stitches by a local veterinarian. Kindle Hewett also suffered a bite wound while trying to rescue JoJo. Service pit bull attacks cat on street. Owner takes off. According to the Tufts study, the most public way in which pit bull owners managed breed stigma was to become a fierce advocate for the breed. These owners seek to “educate” the public — often through their own well-behaved pets — by discounting stereotypes and promoting the finer qualities of the breed. For instance, to help deflect the fear that pit bulls incite about children, one respondent kept a photo handy that showed three children rubbing her pit bull’s tummy. Breed ambassadors are also the most common pit bull advocates to appear at public hearings determining whether or not a city should adopt a pit bull law. A common tactic is to present their dog as a “therapy” dog (which is not a “service” dog) that cuddles with senior citizens in rest homes. In a famous example of a trained “therapy” pit bull reverting back to genetic pit bull animal-aggression, Anna Klafter’s pit bull, Nettie, unleashed an attack upon a mounted police horse. Sergeant David Herrera was bucked off in the 2003 incident and suffered neck and back injuries. Klafter suffered a fractured skull after the horse kicked her in the face. At the time, Klafter had been trying to gain control of her “extensively trained” animal assisted therapy dog. Klafter had adopted the dog from the San Francisco SPCA, where she volunteered as a dog trainer. The horse, AAA Andy, was bitten in the legs and belly and never worked another day of service duty. The pit bull mix that attacked a police horse in Golden Gate Park belonged to an SPCA volunteer who took the dog to senior centers to comfort the elderly and liked to let it run free in the park. On Monday, the SPCA volunteer, Anna Klafter, was recovering from a possible fractured skull and other injuries she suffered the day before when she tried to pull her 4-year-old dog, Nettie, away from the horse. The horse, which injured Klafter when it kicked her in the face, was trying to get its bearings back to the police stables in Golden Gate Park. The police officer who was riding the horse was getting over a back injury. Just the day before, Klafter had taken Nettie to the Fillmore Institute on Aging to be with elderly clients as part of a program run by the Society for the Prevention of Cruelty to Animals. Nettie is great with people, she said. Ruth Teeter’s Prized AKC Staffordshire Terriers Ruth Teeter gets high ranking due to her significant contributions in pioneering Stunt Pitting and modern Pit Advocacy. In July 1987, she paraded her animals around in costumes raising donations for the American Dog Owners Association(ADOA) and had articles published about them. Her meteoric rise to Pit Bull superstardom was neutered after her Staffies were shot while attacking livestock a mere 5 months later… The ADOA subsequently disavowed any relationship with her which started the “Blame the Owner” cop out craze. Ruth is still active in the Staffordshire Club of America and still breeds and sells “WiggleButts”…Only in America! Steven Woods Stolen Valor Pit Bull “Mimi” When Texas Pit Bull breeder Steven Woods got in trouble for his Pit Bull Mimi attacking a neighbor, he whipped out the disabled veteran, PTSD -Pit Bull Service dog card. Soon pictures of Tu-Tu wearing Mimi were all over the internet and gullible Pit Advocates raised $17, 000 for his legal fight against “The Man”. Woods even had the balls to wear his uniform for his court appearance. Later. the National Guard revealed that Woods had never served in Iraq or Afghanistan, and in fact that he had never deployed anywhere. Even though Woods and the Pit Bull community saved man biting Mimi, she was euthanized after attacking another neighbor 8 months later. This time Woods didn’t show up for court. In 1991 The Texas Legislature superceded local communities ability to regulate Pit Bulls, thereby by keeping breeders like Woods in business. In the years since, 31 Texans have been killed by Pit Bulls and hundreds have been “merely” horribly mauled. Can I get a good ol’ Texas “BSL Never Works“ Hell Yeah?!? By the way, you can still purchase a “Free Mimi” T-shirt on line at zazzle. Pit Bull Forum Kris Crawford A Fraud Organized Pit-Idiocy still cites SARPITS/ForPitssake as an example of why we should allow the deaths and maulings continue…but Crawford’s ability to perform SAR work has been euthanized due to her criminal conviction. Pit Grifterin ain’t easy! Meanwhile, Police Departments continue to pay top dollar for Belgian Malinois and Law Enforcement has to shoot hundreds of Pit Bulls annually in the United States. CCSD later sent Action News a statement admitting the district was wrong about the need for certification, but claiming James was wrong, too. A spokesman said James did not notify the school prior to bringing the dog on campus. The statement also said the dog was observed chasing children while she was leashed, and that James made a threat to set her loose on the custodian. School police are investigating that alleged threat, but CCSD now says James can take his service dog to Wengert if he keeps her under control. “BITT BULLS“?! ?…You really can’t make this stuff up!…. Can we all agree that if you can’t spell Pit Bull, you shouldn’t be legally able to own one, much less designate it as a Service Dog?!? Have the Pit bull apologists infiltrated your Animal Control Department and schools? Better check…. Pit Grifting Operation/Autism Service Pit “Toby” Kelly Nolan stages an Oscar Winning performance for the media, lamenting that her daughter’s autism Service Pit Bull “Toby” was abducted by a pit hating, blonde woman and killed with a baseball bat. Once again, gullible Pit bull apologists rally and begin raising thousands of dollars in donations for their new media hero. Later, the police investigation reveals Toby ran off and was actually hit by a car…. Nolan and her partner are subsequently arrested on drug and Stolen Property charges after inviting police into their home for the Pit Griftering operation. Unfortunately, they were not billed for the fraudulent investigation costs to the taxpayers. Linda Forney-“Exposure” Stunt Pit “Snoopy” …Grandma Rose Forney volunteered at the City Public library and would take her Pit Bull with her to expose as many people as she could to Pit Bulls for the “Great Struggle“. All was well until Snoopy bit a resident in the face. Now the City of Maul-lala is being sued for $158,000. Marc Langevin’s PTSD Service Dog “Princess” attacks a neighbor walking her dog and severely bites both of them…Langevin expresses bewilderment as to why his fighting breed dog was “triggered” at the sight of another dog.I don’t get it. …What’s with all the Pit Bull PTSD service dogs?!? Do they help the owner by making the rest of the world seem safer? Issuing one of the first court verdicts to weigh a conflict between the right of a legally disabled person to keep a companion animal and the duty of landlords to protect tenants from dangerous dogs, U.S. District Judge William Alsup ruled on August 8, 2002 that the San Francisco landlord of Guy Lowe, 38, met the requirements of federal law and the California Fair Employment and Housing Commission by allowing legally disabled persons to keep small dogs, and that Lowe, whose claimed disability is severe depression, acted unreasonably in demanding to keep a pit bull terrier. “The potentially catastrophic consequences of a pit bull attack must be considered, even if the risk of that attack is remote,” Judge Alsup wrote. ATTS Testing and subsidized Good Canine Citizen Certifications: Pencil whipped GCC Certifications and ATTS testing are a low cost way to to generate an army of “certified” stunt pits that can be cited to support the “It’s the Owner” defense. An examination Pit bull apologists mothership Animal Farm Foundation’s 2009 Tax return reveals that they subsidized Pit Bull rescues and humane groups to produce roughly 100 Good Canine Certifications (GCC) to the tune of $150 each…A nice little tax free subsidy to the dog trainers pencil-whipping..err…“certifying” the animals…No wonder dog trainers love Pit Bulls, once they get on the AFF payroll, they receive a steady income! Ironically, the two breeds that use the test the most are Pit Bulls and Rottweilers which have pumped through over 7000 dogs to the tune of $25 each. Unfortunately, breeders from those communities have produced dogs which have killed over 440 Americans, so ATTS testing rates seem to be inversely proportional to public safety….For breed clubs, pumping dogs through testing is easy, while apparently, breeding and selling safe dogs is nearly impossible…. “It’s risky for veterinarians,” said Dr. Beaver, explaining that there are many situations in which a dog may behave aggressively, and temperament tests can’t rule out the possibility of aggression. “You don’t have temperament tests that can identify all possibilities.”Yes Bonnie, temperament testing IS way too risky for vets…So let’s leave it to the Pit bull apologists! The recent near-fatal mauling of Joe Finley in Chicago revealed a great deal about who runs Chicago Animal Care and Control and how it operates. Finley’s brutal attack left him without a foot or the use of his arm. In response, the CACC and the city attorney’s office did exactly nothing to prosecute the irresponsible owner that let his dogs, which were known to be aggressive, run at large. Local residents and aldermen were appalled and wanted action to ensure public safety. When Alderman Fioretti raised the question of a pit bull ban, the obligatory pit bull service dog handler was trotted out to state he was afraid that his pit bull service dog would be taken away if BSL were enacted in Chicago. The service dog handler in this case was Chris Maddeford and the service dog is in fact a service dog in training from Kelly and Greg Yearwood’s non-profit called Pits for Patriots which was started up less than a year ago. They started with four pit bulls and two of those washed out – one for health and one for temperament reasons. BAKERSFIELD, Ca. – Kern Animal Control, Kern County Fire and Kern County Sheriff’s Department officials responded Wednesday morning to a home in northwest Bakersfield after 911 received a call about a woman being attacked by a pit bull. Ryan Dunbier, Senior Deputy with the KCSO, said two women, ages 21 and 22, were at home when one of the women began having a seizure. In a small western Colorado city, a 150-pound or larger American Allaunt alleged “service dog” is in danger of being euthanized — possibly this very week — as a consequence of his having attacked a woman last November 2012, and his owner’s having been cited under the community’s “vicious animals” ordinance. A judge ruled in January that the animal should be put down, but its owner and his friends have launched an online campaign to save the dog which has included no small amount of withholding of certain key facts, along with spinning the story such that the biting victim is cast as an abuser who provoked the attack for no good reason, and who’s lying about both what happened and her concomitant injuries. A petition to save the animal on the notoriously blindly animal-loving Care2 website has been signed by some nearly quarter million people, at this writing; yet the real facts of the story are becoming lost. I chose to once again post the story of Quincy the Guide Dog who was viciously attacked and killed by pit bulls, because there are some important updates to this story. Please visit Quincy’s page athttps://www.facebook.com/QuincyColeGuideDog and see what’s new with Quincy’s story. RIP Quincy, brave and wonderful soul! YAKIMA, Wash.– A pit bull’s future is in doubt after it attacked three people here in Yakima. It’s the first attack since Yakima allowed pit bulls if they’re service animals. This was a registered service dog. It’s only been a short time since Yakima made it OK to have pit bulls in city limits, as long as they meet the requirements of a service dog. Now, one of them has attacked. “I had a hunch that something like this would happen with these dogs,” Yakima Code Administration Manager Joe Caruso said. 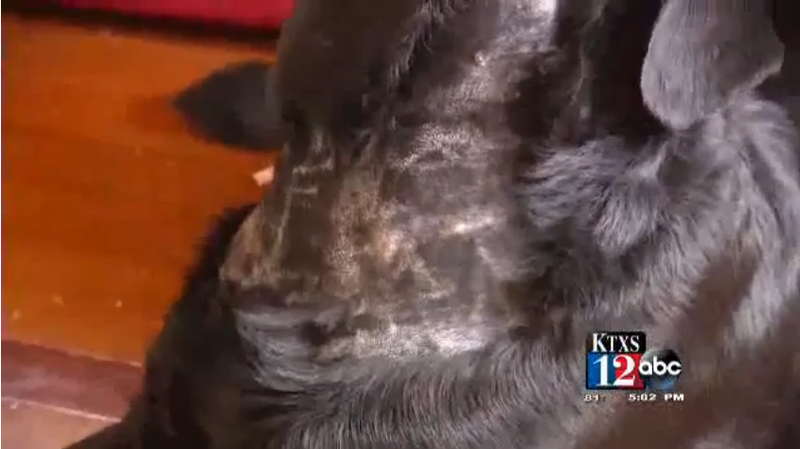 It’s Caruso’s job to investigate dog attacks with help from the Yakima Police Department. 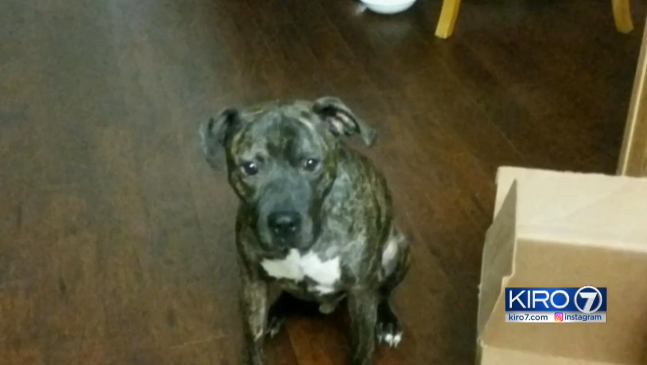 He says Thursday’s attack involved a pit bull that ran out of a home on Garfield Avenue. The front door was open and the dog was not contained. Then, the pit saw another dog on Lincoln Avenue and attacked. KIRKSVILLE, Mo. (AP) – A northeast Missouri man is charged with animal abuse for allegedly stabbing a pit bull to death. The Kirksville Daily Express reports that 29-year-old Jeffrey Lynn Vance of Kirksville is jailed on the felony charge. Bond is $10,000. He does not yet have an attorney. Police were called to a home Thursday night and found the dog lying in a pool of blood with what appeared to be a stab wound to the neck. Police say Vance was intoxicated and covered in blood. Police say Vance told them the dog bit him and he stabbed it in response. 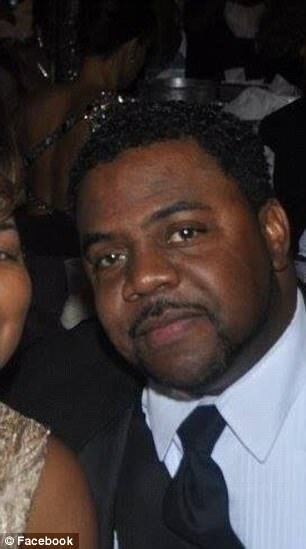 The dog was a service dog, assisting Vance with an undisclosed medical condition. The dog was taken to a veterinary care center, where it died. A King County woman says she thought she was going to die when she and her service dog were attacked by a neighbor’s dog. 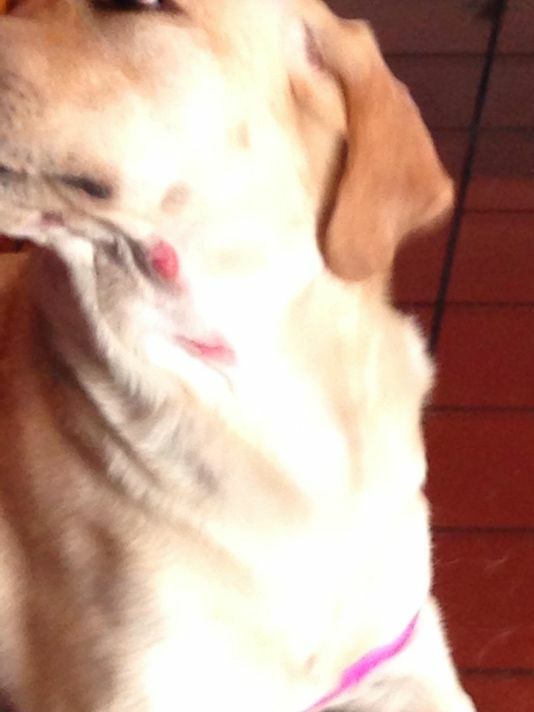 The owner of that dog spoke with KIRO 7 News and was asked if he feels responsible for the attack. “Definitely to a point, yeah,” said T.J. Moore of Maple Valley. Moore admits he made a mistake on May 30. “I started talking to my neighbor, I walked over there and somehow my door didn’t get shut or something,” he said. He says his dog, Eddie, a pit bull/boxer/mastiff mix ran out of the house, toward Witt Road Southeast right into Heather Acker and her pit bull named Brindle. Acker showed KIRO 7 injuries she says she and her dog suffered while simply trying to cross the road. She says Brindle is her service dog for anxiety. She’s had him for three years and says her dog did not provoke the attack. “If he would’ve died I would lose it,” she said tearing up. We asked Seattle attorney Tom Budinich at Bernard Law Group about dog owner liability in Washington. Acker, a mechanic, says she can’t work because of the injuries to her hand. She expects doctor and vet bills in the thousands of dollars. She’s also worried about the dog attacking children in the area. Moore insists the dog has never bitten anyone. In the meantime, Moore said his dog was ordered to be quarantined inside of his house by King County Animal Control. Acker said she intends to look into possible filing a lawsuit to cover medical costs. She will need surgery on her hand. But the pit bull owner was clear, she does not want the other pit-bull mix to be euthanized. ABILENE, Texas –An Abilene man and his guide dog were attacked by a pit bull as they walked through their south side neighborhood Sunday morning. Now the dog, named Scarlet, has an uncertain future as a guide. George said after the first attack on South 9th Street, the dog came back for another round. George said the owner of the pit bull tried to separate the dogs with a stick. When the two arrived back at their home, George and his wife Carmen, who is also visually impaired, called the police. They filed a report and took Scarlet to the veterinary clinic. The vet had to place two tubes in Scarlet’s throat to help drain the fluid from her neck, which prohibits George from using her guide harness. George was gifted Scarlet through the California organization Guide Dogs for the Blind four years ago. Before the attack, George used Scarlet to get to work and the store. George is currently depending solely on city transportation. George said he plans on taking Scarlet back to California, where the organization will decide if she will be able to work again. George said it’s not the physical injuries that may keep Scarlet from being a guide, it’s the psychological impact of the attack. 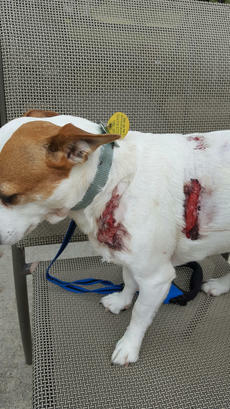 BRADENTON, Fla. — Imagine you’re walking with your dog down the sidewalk and three other dogs attack your dog. That’s what happened to one man whose pet is more than just his best friend. Bradenton resident, Richard Draper, has been blind his entire life and is no longer able to rely on his specially trained, $60,000 guide dog to help him get around. His pet, named Andie, is unable to serve as his eyes following an attack on Monday. Draper was walking down the sidewalk on Southern Parkway right across from an elementary school. 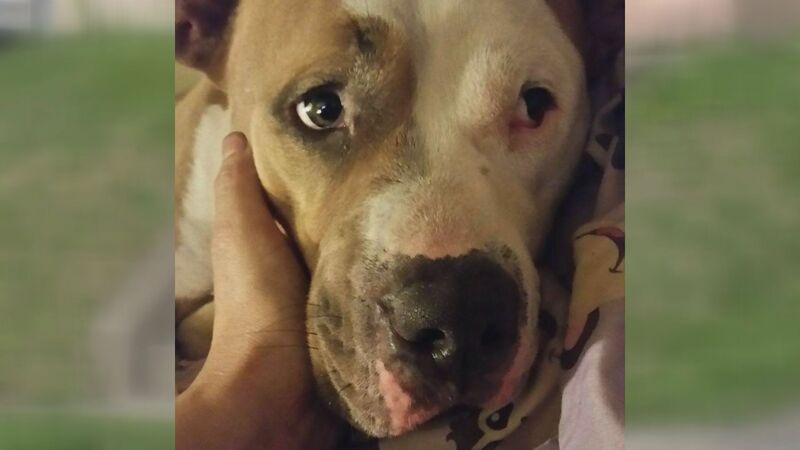 According to a witness, a pit bull then attacked his dog Andie – leaving puncture wounds. A second pit bull grabbed on to Draper’s leg and a third was hovering around. The witness jumped in to break up the attack. Then, Draper and the owner of the dogs went at it — shouting about who was at fault. The Manatee County Animal Services and Bradenton police are both investigating. Draper was very upset by how long he says it took for help to arrive. “My dog was bleeding, she was crying on the ground whimpering and at that point I didn’t know whether she was going to live or not,” he said. The owner of the three dogs didn’t return a call for a chance to comment. Draper said he doesn’t want the dogs or their owner to be punished. He just wants to see a change in the way dog attacks are investigated, including response time and understanding the importance of guide dogs. The owner of a pit bull — the pit bull killed a service dog on Friday — came to City of Poughkeepsie police headquarters Saturday night and is being held on an unrelated warrant from Newburgh, police said. The man’s dog was seized and was taken to a local animal hospital. The man was not identified by police, who said charges will be filed against the man at a later time. Police thanked the public for its assistance in locating the man and his dog. On Friday at 7:14 p.m., Rosemary Cole, who uses a wheelchair, was traveling east on Main Street near Perry Street with her dog in her lap, police stated in a press release. A tall, black male was walking in the same direction with a black pit bull on a leash when the pit bull lunged at the Chihuahua in the woman’s lap, police said. 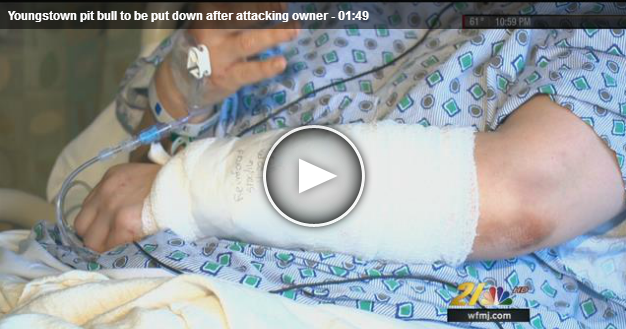 Rosemary Cole attempted to stop the pit bull, but she was knocked over and onto the sidewalk. The pit bull owner tried and failed to pull his dog off the Chihuahua, but a witness was able to separate the two dogs, police said. Rosemary Cole’s Chihuahua was taken to a vet where it was pronounced dead, police said. 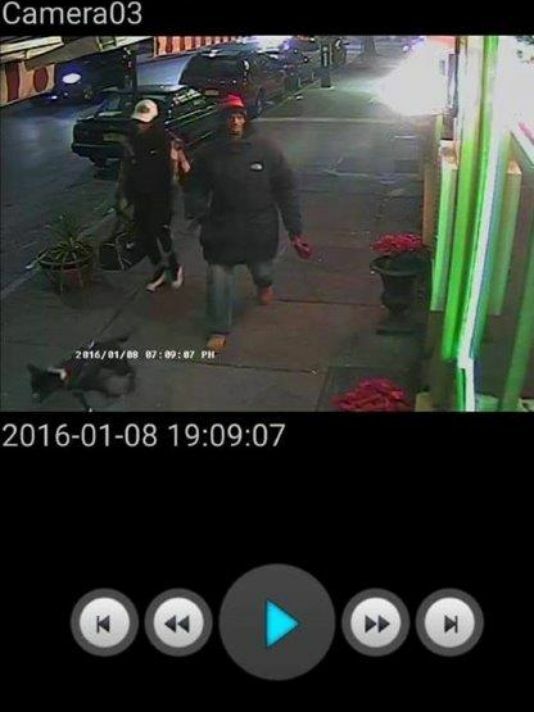 The pit bull owner and the dog continued to walk east on Main Street accompanied by a second person following the incident, the release stated. 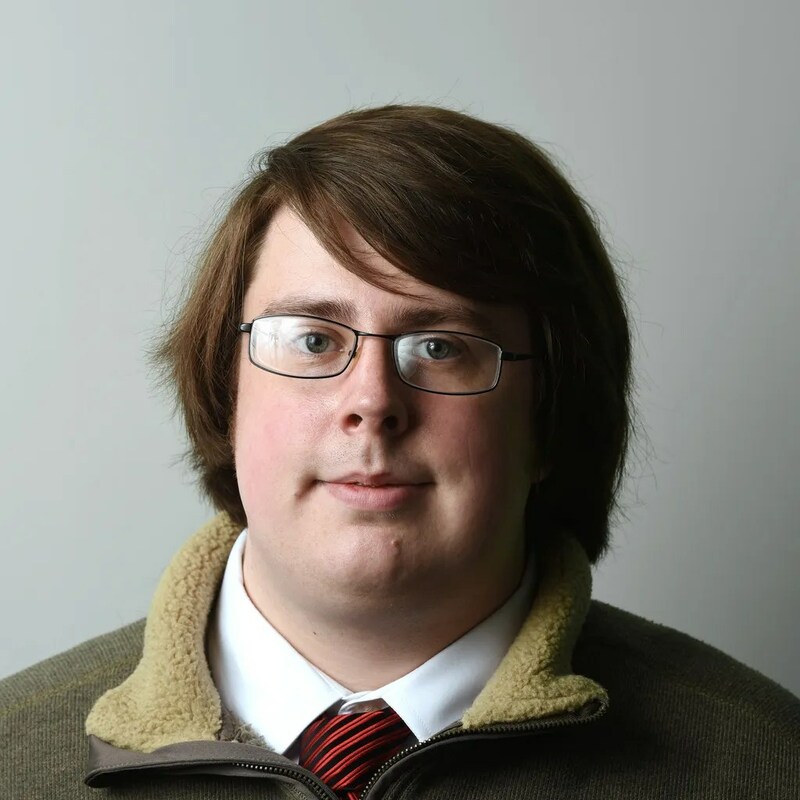 Geoffrey Wilson: gwilson@poughkeepsiejournal.com, 845-437-4882, Twitter: @PoJoGeoffWilson. Buttons, the Shih Tzu-Lhasa Apso cross, would have been seven years old next month. However, instead of getting ready to mark the little therapy dog’s birthday, his owners are grieving his loss and saying goodbye after a tragic incident Monday. 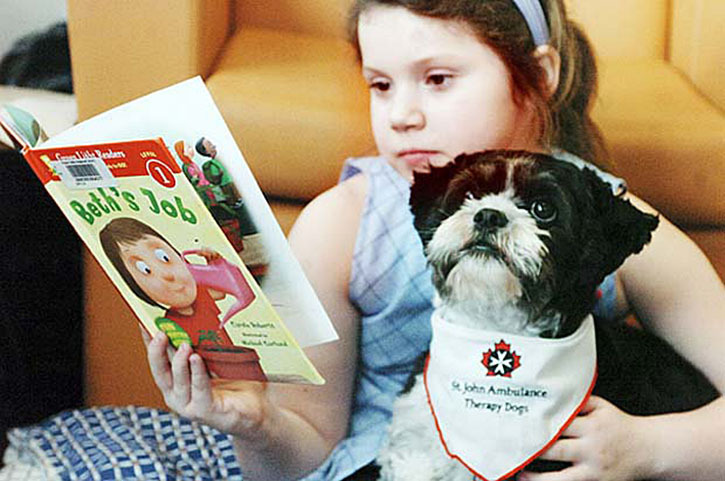 On that morning, as they have done numerous times before, Pitt Meadows retirees John and Yvonne McDonald – who are also members of St. John’s Therapy Dogs program – took Buttons for a walk. They stopped for a coffee at the McDonald’s restaurant on Harris Road and Lougheed Highway around 11 a.m.
John stayed on the outdoor patio with Buttons, while Yvonne went inside to order their drinks. “All of a sudden, I heard screaming outside,” Yvonne recalled. Another dog, which was sitting on the patio with its owners, had charged Buttons and clamped its jaws down around the little dog’s stomach, she explained. “It was horrendous,” John told The TIMES on Tuesday. The dog’s owners had a muzzle with them, but had taken it off, and untied the dog to allow it to get a drink of water and didn’t put the muzzle back on, John recalled. The rest of John and Yvonne’s day was spent at an emergency animal clinic. Buttons was found to have a broken leg in two places, which could have meant amputation. Further assessment also showed puncture marks from the big dog’s teeth went right through to Buttons’ stomach, meaning surgery would be required. For the McDonalds, the price of Buttons’ potential surgery was simply too prohibitive, explained John. The decision was made Monday night to put Buttons down. KGW talked to two people riding the train Wednesday night around 6:30 p.m. One passenger said four dogs, all with different owners, boarded about the same time at Northwest 21st Avenue and Lovejoy Street. A couple minutes later, a larger dog, which appeared to be a pit bull mix, attacked a smaller dog that looked to be less than 10 pounds. “There was a small dog on the ground and a pit bull came in, and I was holding my dog up and the pit bull attacked the small dog and latched on to his head,” said passenger Joe Garside. KGW reached out to Portland Streetcar and is still waiting for a response. The agency’s website states that only service dogs are allowed on trains. A witness KGW talked with said the dog that died appeared to be wearing some sort of service dog designation, but animal control officers said it was not a licensed service animal. VANCOUVER — Yuri was an assistance dog who helped a woman with autism navigate her daily life, a therapy animal who comforted palliative care patients and an integral part of his Vancouver family. 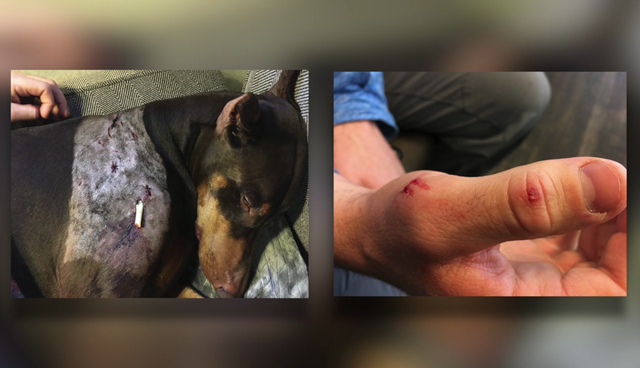 That all ended Saturday afternoon when the miniature pinscher was eviscerated by a pit bull in what Yuri’s owner describes as an unprovoked attack. Mia Johnson and her daughter were walking Yuri and a second dog on-leash when they encountered another dog owner at 10th Avenue and Dunbar Street. The other woman was walking a Staffordshire bull terrier, one of the breeds commonly referred to as pit bulls. “The dog was straining on its leash and it went right for our dog,” Johnson said. The bigger dog’s jaws locked onto Yuri. People nearby who witnessed the sudden attack ran over and began hitting the pit bull, poking its eyes and pulling on its ears, but it wouldn’t let go. By the time it finally loosened its grip, Yuri was barely alive. “My dog was disembowelled. I picked him up and everything inside him was just in my hands,” Johnson said. A visually impaired Calgarian is recovering from an attack by an unleashed pit bull that injured both him and his guide dog. It happened last Wednesday as Trevor Fitzhenry was walking his dog, Neptune, in Forest Lawn. Fitzhenry couldn’t actually see the attack; he has been blind for 15 years. The dogs were eventually separated, but not before Neptune was bitten on the face and paws. Fitzhenry required stitches to his hand. This entry was posted in Frequently Updated Blog Posts and tagged Chilly, Luna, Noah Huggins, Noah Lee Huggins, pit bull attack, Service pit bulls, Therapy pit bulls. Bookmark the permalink. noah huggins caught scamming. what a surprise.